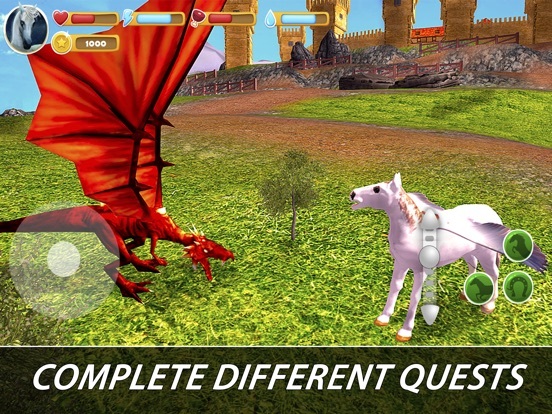 Fly sky high with your Pegasus herd over a fantasy kingdom in a new horse game! 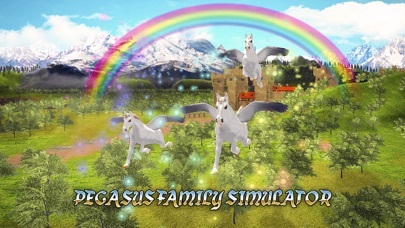 Pegasus Family Simulator offers a life of a flying Pegasus in the nature of a magic kingdom. Exotic kingdom of magic and excitement of flying will captivate you in our horse survival simulator. 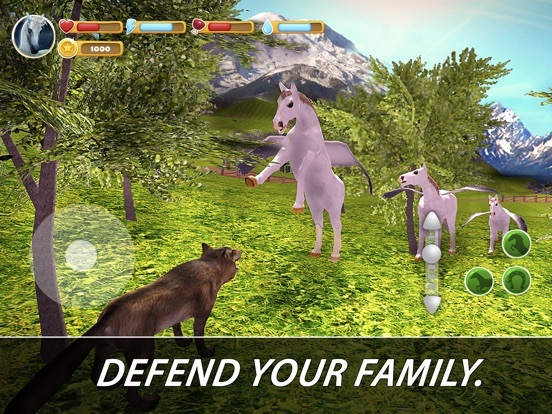 Leave tedious reality behind and join flying animal family in fantasy adventures. Kingdom waits for your herd of merry magic horses flying across fantasy landscapes! Like any horse, Pegasus needs nutrition and water. And it has to fight other animals for survival in kingdom. 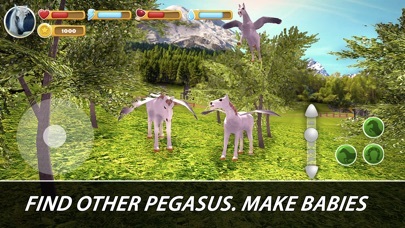 Fantasy nature needs your flying Pegasus herd to be strong. Flight or fight - whatever helps the herd’s survival is right. Every horse, flying or not, adapts for survival. Dangerous magic of a fantasy kingdom will challenge your flying herd! 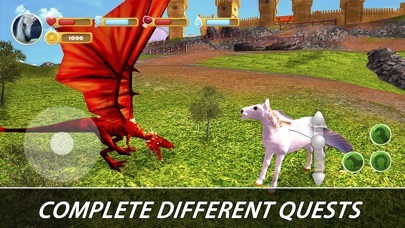 Find other Pegasus, start a herd and explore the fantasy land - flying horses of a fantasy kingdom prefer company. Simulator offers a lot! Nature is full of magic, danger and entertainment. Survival in a kingdom is unlike mundane horse life. Go magic like fantasy around - why be a horse when you can be a flying Pegasus in a kingdom? 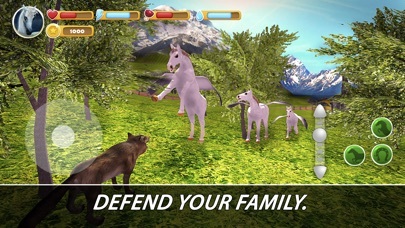 Unlike other horse games, survival of Pegasus herd involves magic. 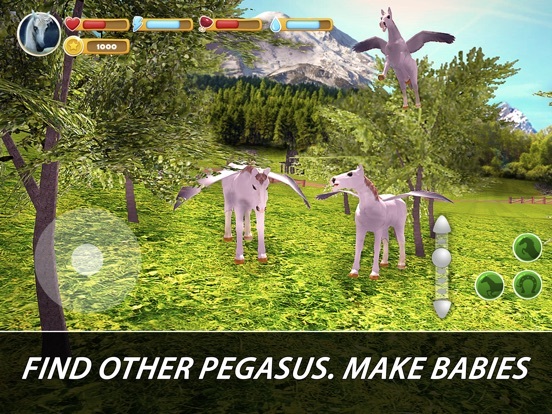 Feel the magic of horse survival games in the kingdom of Pegasus simulator! Lead your flying herd to survival in struggle with fantasy nature and animals. Nature calls you to fairy tale - life and survival of Pegasus await! Are you ready for survival in fantasy nature? 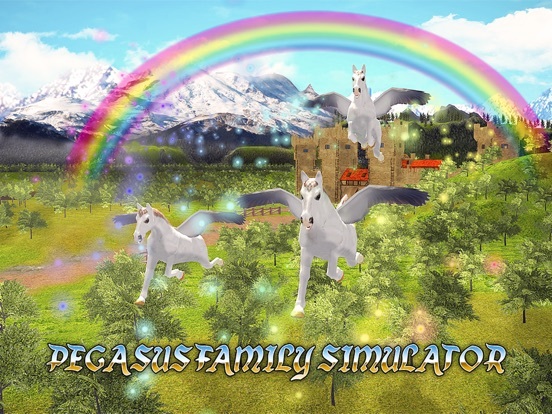 Become an animal in magic survival simulator and fly over the fantasy kingdom with your Pegasus herd in Pegasus Family Simulator!